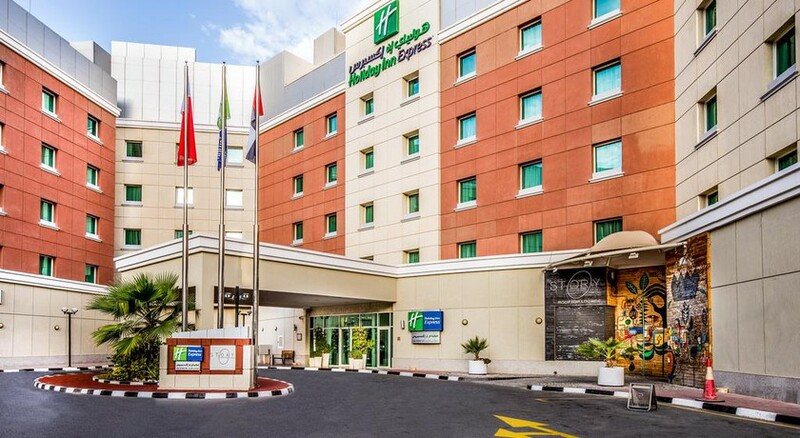 Set right on Abdullah Omran Taryam Street, Holiday Inn Express Dubai Internet City is easily accessible from all quarters and is 31km from Dubai International Airport. Set up in modern architecture, the hotel stands out as being a favourite among families, couples and business travellers. 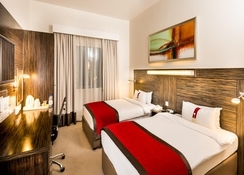 The hotel boasts of a fully equipped 24-hour fitness centre, in addition to its cosy and spacious rooms with state-of-the-art amenities. 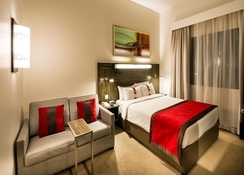 The hotel has a central location in TECOM, which is close to Media City and Knowledge Village. Situated at the heart of Abu Dhabi City, the major shopping outlets, the best bars and restaurants are a stone’s throw away. The beach is also surprisingly close to the hotel. 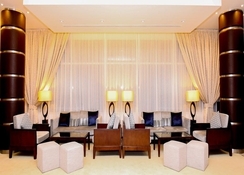 The property is located 4km from the Dubai Marina Mall and 5km from The Walk at JBR and 3.7km from Mall of the Emirates. 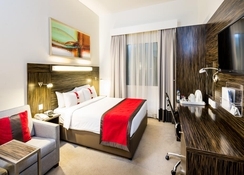 Dubai Opera is 15km from Holiday Inn Express Dubai Internet City. 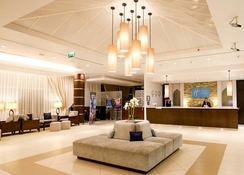 The Al Maktoum International Airport is 23km from the hotel while The Dubai international Airport is around 26km. This property is a 9-minute stroll away from the shoreline. 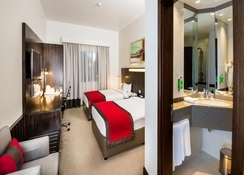 Guests can choose from the 244 guestrooms that feature double-glazed windows and dark wood furnishings. Room amenities include a private bathroom fitted with a bidet and free toiletries, free Wi-Fi, air conditioning and a safety deposit box. The primary restaurant at the hotel is the Great Room, where you can sit down for a hot buffet breakfast, choose between a la carte or buffet lunch and end the day with a very affordable buffet dinner. The restaurant is open from 6:30am to 11:30pm. Unwind after a hot day in Dubai at the Cosy Bar, where you can sample draft beers, alcoholic beverages and house wines. The bar also offers happy hours to its guests. If guests have a packed itinerary for the day, they can also opt for the express start option, which provides an assortment of select breakfast items. Take the short trek from Holiday Inn Express Dubai Internet City to enjoy some sunshine at Jumeirah Beach. The shoreline is near Wild Wadi Water Park, where you can ride the Master Blaster water rollercoaster and body board in the Wipeout wave pool. Try not to go home without seeing customary Dubai with a visit to the memorable Bramble Dubai territory in the downtown area. Go out for a stroll past Middle Eastern houses finished with wind towers intended to get the ocean breeze and hail a wooden pontoon to skim along Dubai Rivulet at nightfall.